These professional-quality foam rollers feature a highly durable EVA foam construction and a soft density for gentle massage and comfortable exercise. OPTP PRO-ROLLERS® are built to outperform and outlast store model foam rollers. Their durable EVA foam allows for heavy, repeated use in the gym, studio, clinic or at home. With a comfortable soft density and multiple size options, these rollers offer a variety of uses and benefits. The full size is ideal for massaging adductors, hamstrings, quadriceps and the back, but can also target smaller areas such as the IT Band, hip rotators, glutes and calves. Its soft compression creates a more stable environment for exercise, including Pilates, yoga and core strength movements. The half-round size features one flat side and one rounded side for diverse use. It’s well-suited for balance and stability work, Pilates, yoga and physical therapy. This shorter, more compact size is easy to carry or fit into a bag for convenient portability. It's the perfect companion for travel, taking to the gym and running/biking races. This roller’s smaller diameter makes it lower to the ground for a safer, more stable feeling. It’s perfect for the elderly or those with a compromised sense of balance and is easier to control while using for massage. Select your size from the dropdown menu. The shorter, more compact 18” x 6” PRO-ROLLER™ Soft is easy to carry or fit into a bag for convenient portability. It's the perfect companion for travel, taking to the gym and running/biking races. 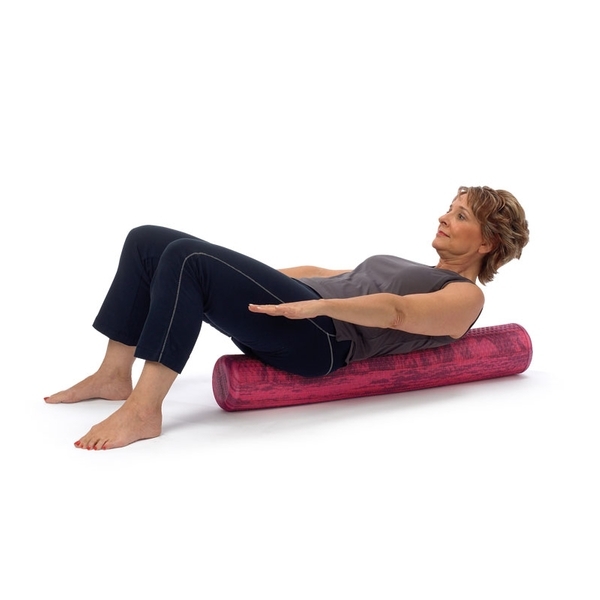 The stretches I can do with this half roller have helped me improve my posture and relax tight muscles. The roller is soft which is easier on my spine as I decompress and work through the exercises. 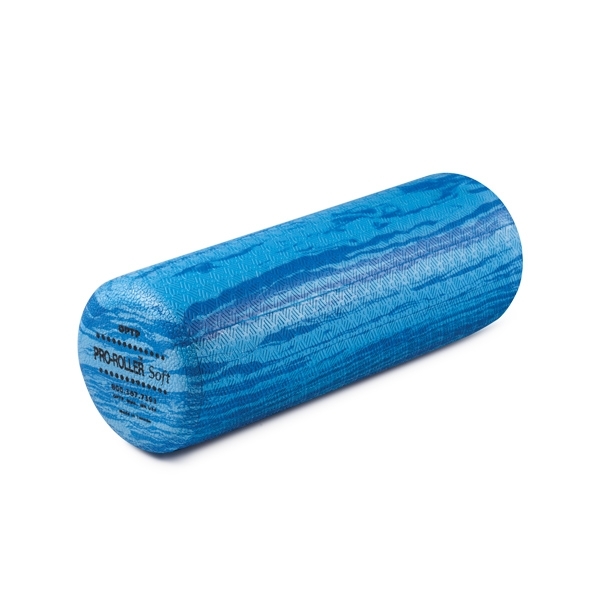 This OPTP half Pro-Roller Soft was recommended to my by my physical therapist. I&apos;ve recommended it to friends who are struggling with medical conditions similar to mine. 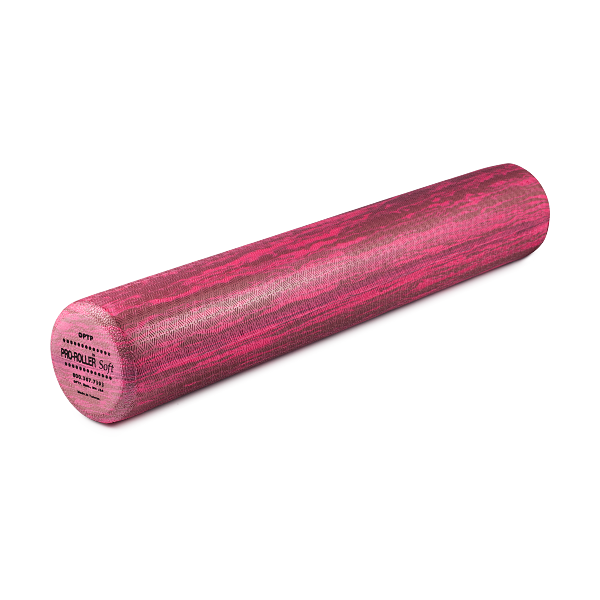 I own an Acrobatic/Dance Studio for children and we love this foam roller! Prior to getting the soft one, we had our students use the black, firm roller. 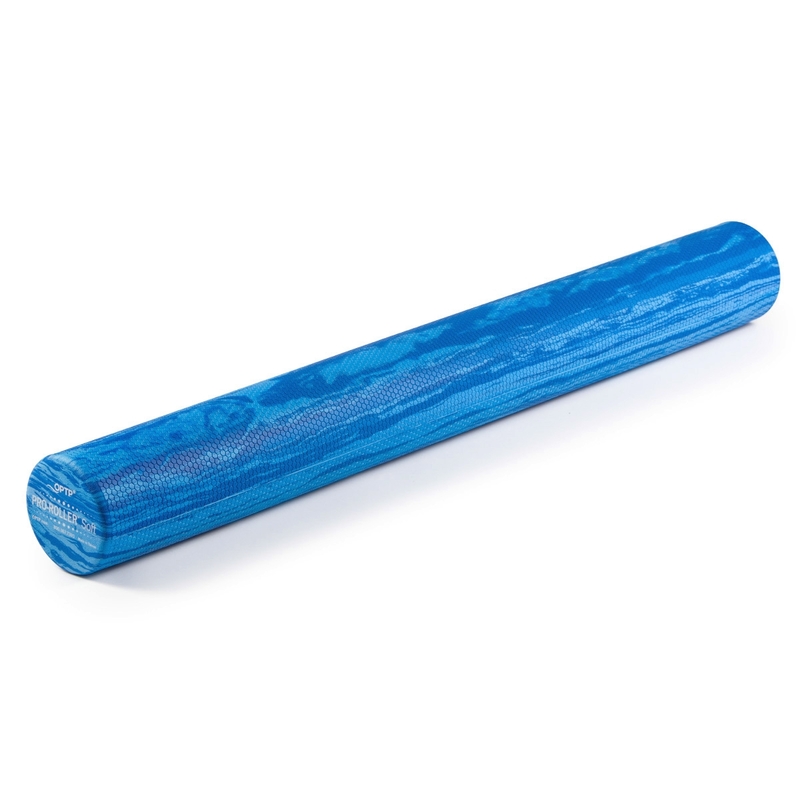 We find the black roller is great for rolling out glutes but is too firm for the IT band with our younger athletes. 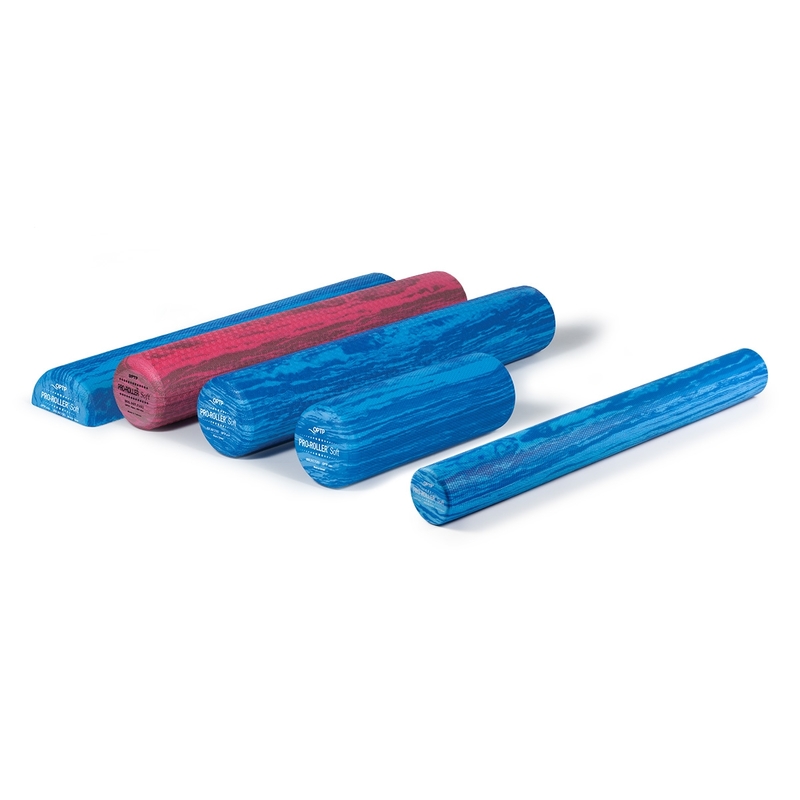 We give our students the option to choose which roller they want to use and after purchasing the soft roller, it has become more popular than the firm roller for almost all our athletes 14 and under. They roll their IT bands, glutes, and quads with the soft one. This Foam roller is much better than the compressed styrofoam roller. IT is just firm enough. It seems to hold its shape well. Perfect for doing stretches. I don&apos;t exercise therefore the firm rollers are too firm for a good stretch. Love this roller. I am a fitness trainer and use the soft rollers for my SMR (Self Miofascial Release) Workshops. 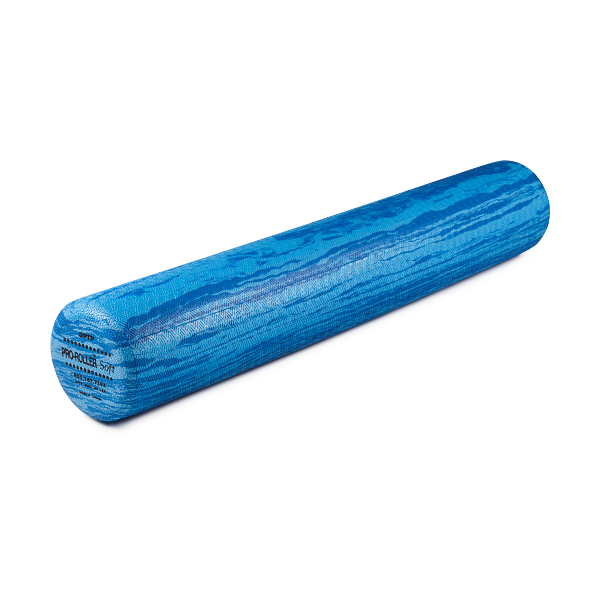 The soft rollers are not harsh to use for those first experiencing the wonders of foam rolling. Also, the soft rollers may not cause as much pain when rolling over trigger points, allowing the beginner to get acquainted with the sensory feedback created. 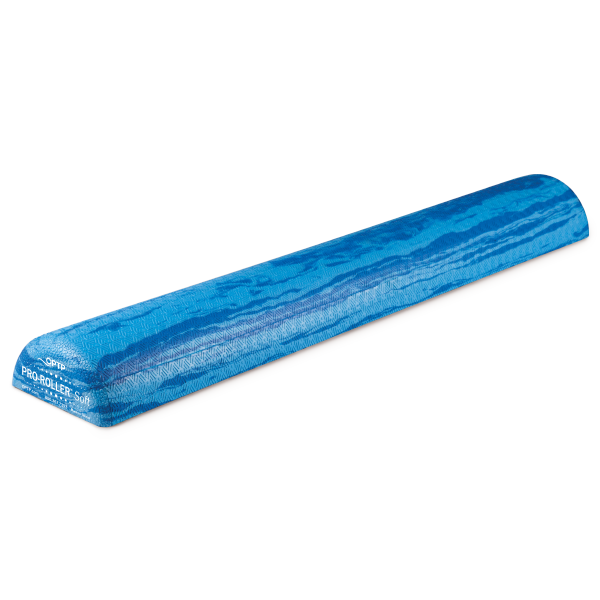 Also, when laying on the soft foam roller lenthwise for balance or aligned spine exercises, it compresses a little more giving a slightly more stable surface. As I am an avid promoter of foam rolling, I hope this review has helped. I NEVER give rave reviews but so serious this is the BEST equipment I&apos;ve ever purchased for my aches & pains. Be sure to purchase the book too. My back went out & my massage therapist recommended. I WAS VERY reluctant, she said I could return. Within a 1/2 hour my hips haven&apos;t felt this relaxed & the small of my back... well, I can breathe without pain. I want to give everyone (I care about) this for their issues too. UNREAL! !